Number talks were developed as a teaching strategy to increase student understanding of the numerical relationships that serve as the foundation for math rules, which we often just memorize without truly understanding. Number talks strive to helps students compute with accuracy, efficiency and flexibility. These number talks are characterized by purposeful classroom discussions about carefully selected computation problems that prompt a larger discussion about mathematical thinking. As described by Parrish (2010), “[t]he problems in a number talk are designed to elicit specific strategies that focus on number relationships and number theory.” These short sessions do not replace ongoing math curriculum, but rather take place alongside it. Their overall goal is computational fluency. Each number talk begins with the teacher sharing a math problem with the class. Students are given time to mentally figure out the problem. The teacher then provides opportunities for students to share their answers and strategies (i.e. mathematical thinking). Number talk problems can be presented in a small-group or whole-group environment. The entire classroom number talk generally lasts 5 to 15 minutes, and gives students the opportunity to share, examine and defend different strategies and solutions. Take place in a cohesive classroom community and safe environment (e.g. a culture of acceptance). Did anyone have a different strategy? Could you check your answer using a different strategy? The teacher accepted each student’s strategy and then went through them all to determine which were reasonable and which were not. This was a quick and efficient strategy for engaging students in purposeful math talk while developing problem-solving and computation skills. It would be a valuable addition to the daily routine in any classroom! Parrish S. (2010). 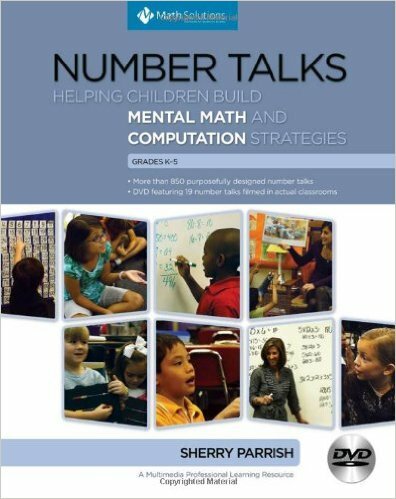 Number Talks, Grades K-5: Helping Children Build Mental Math and Computation Strategies. Sausalito, CA: Math Solutions Publications. Math Perspectives. (2007). Number talks. Bellingham, WA: Math Perspectives.